The energy drink category is going through seismic changes. Category giants such as Monster, Red Bull, Amp, Venom, and Rockstar are facing serious competition from products containing naturally derived caffeine, products labeled “Better for You”, and clean caffeine drinks. Concerns about ‘wellness’ – combined with the time-starved modern lifestyle that has come to define millennials – have turned consumers back to energy drinks. However, classic energy drinks that are perceived as more ‘chemical’ are facing rejection for the murky explanation of their caffeine source. The convergence of energy and wellness trends has spawned newcomers such as UpTime, High Ball, Runa, Clean Cause, Guayaki Yerba Mate, and Steaz. Starbucks was an early adopter with their Refresher line of energy drinks, which were among the first to offer caffeine derived from green coffee beans and come in curated flavors such as Peach Passionfruit and Black Cherry Lime. All of these new energy drinks draw their caffeine from different sources, but one common thread runs through them all: the source is as natural sounding as possible. Plant-derived caffeine, such as green coffee beans, Yerba Mate, and guayusa, are just some of the new sources for caffeine. Besides the change in caffeine sourcing, clean energy drinks are carefully positioned away from traditional energy drinks. Clean caffeine drinks position from a wellness perspective. Usually, “no crash” and “natural sourcing” are hallmarks of the packaging claims of clean caffeine. Traditional energy drinks place emphasis on the energy itself, and usually have bold, loud packaging and more traditionally “masculine” names and branding. Monster’s namesake line has names like Assault, and their “lighter tasting” zero calorie line is called Ultra. Their Hydro Thirst-Quenching line has names like Manic Melon and Mean Green, and branding aims to convey the power of the energy that the can contains. Compare this to Runa, a clean caffeine drink. 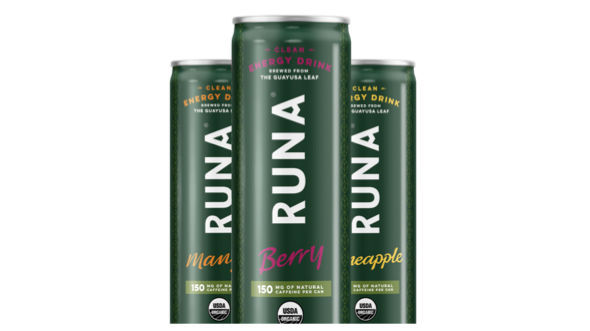 Runa prominently displays that they are a “clean energy drink” and explicitly states “Brewed from the Guayusa leaf”, no questioning the origins of the caffeine for the consumer. Further, Runa also prominently displays their USDA organic logo, the educated organic consumer instantly recognizes this. Runa also has simple fruit flavors, such as Berry, Mango, and Pineapple, a drastic contrast to the ambiguous naming from Monster. Runa clearly tries to draw attention with sleek packaging and design, where as Monster and the traditional energy drinks are bolder, brasher, and flashier. However, the traditional energy drinks aren’t going down without a fight. Rockstar Energy just came out with their own Organic line that still bears the Rockstar name. Interestingly, Rockstar places their organic claim loudly in bold letters, with the small USDA organic logo in the corner. The packaging is still as bold as their typical Rockstar line and doesn’t emulate the minimalist look of the clean caffeine. This line does have clean caffeine as well though, with caffeine from green coffee beans and guarana, not the typical Rockstar energy blend. 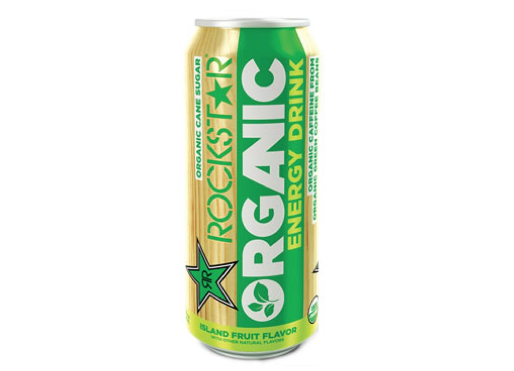 The clean caffeine claim is also on Rockstar, with the can displaying “organic caffeine from green coffee beans”. Overall, the product straddles the line between using the trendy clean caffeine attributes but maintaining Rockstar aesthetic. Expect these clean caffeine crusaders to battle more ground for shelf space in C-stores, especially as they grow in popularity. Will other traditional brands follow Rockstar’s lead? < Previous When Is It Time to Redesign Your Packaging?